Bad Air Sponge Odor Absorber Natural and safe solution for stinky litter boxes and other noxious odors! Cat Urine Detector Helps you find the source of that cat pee odor! Litter Genie Bag Replacement 4-Pack Always have a new cartridge handy! LitterMaid Carbon Filters LMF200 - 12 count Can be used in all Littermaid models! My Pet Peed Stain & Odor Remover 32-oz. Spray Bottle The last stain & odor remover you will ever need to buy! Nature's Miracle Just For Cats Stain & Odor Remover Enzymatic cleaner & odor remover, available in three sizes. Nature's Miracle Lightweight Clumping Cat Litter Almost half the weight of traditional clay litters! Uses natural botanical extracts to neutralize odors, not cover them up! ScoopFree Litter Tray Refills Available singly, or in a convenient 3-pack! ScoopFree Original Self-Cleaning Litter Box The whole tray is disposable! When we don't have a direct supplier for something, Old Maid Cat Lady sometimes makes products available to you through affiliated retailers. When you click on the ads below, you will leave Old Maid Cat Lady and visit those stores to shop. Be aware that Old Maid Cat Lady gift codes do not work on affiliated retailers' sites, nor does any percentage of your purchases there go toward our Cat Champions of the Week. Full disclosure: affiliates do pay us a small percentage of what you spend there to thank us for referring you. If you choose to visit any of our affiliates, we hope you return soon to Old Maid Cat Lady! Offered directly through Pretty Litter. Click on the ad above to visit their site for details and pricing. Offered through Boscov's Department Stores. Click on the image above to visit their site for details and pricing. and shop the Log6ix site. 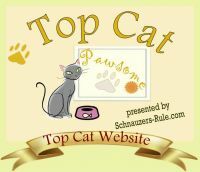 Need other types of Cat Potty Time products? 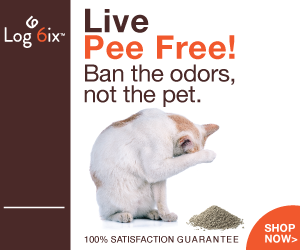 • Potty Time Litter boxes, litter scoops, access doors, litter, cat urine odor control products, and other items to make your cat's potty time pleasant...for the both of you! • Automated Cat Litter Boxes Cat litter boxes that scoop themselves and accessories for them, to minimize your time spent scooping and cleaning a litter box! • Cat Access Doors Doors to give your cats access to a litter box room or catio, without your having to get up and let them in and out all the time! • Cat Litter Cat litter to fill your kitty's potty, help control litter box odor, and make your cleaning job easier. • Cat Litter Boxes and Pans Covered or open, we have your needs for cat litter boxes covered! All the sizes, shapes, and colors we can find. 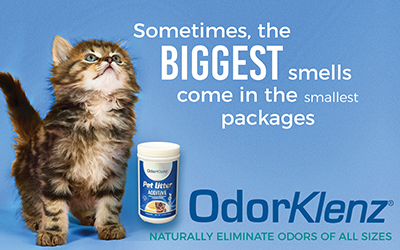 • Cat Odor Control Okay, cats can make some stinky messes. Here, you'll find lots of products to help you control those odors and remove any resulting stains. Because life with your cat should be pleasant!